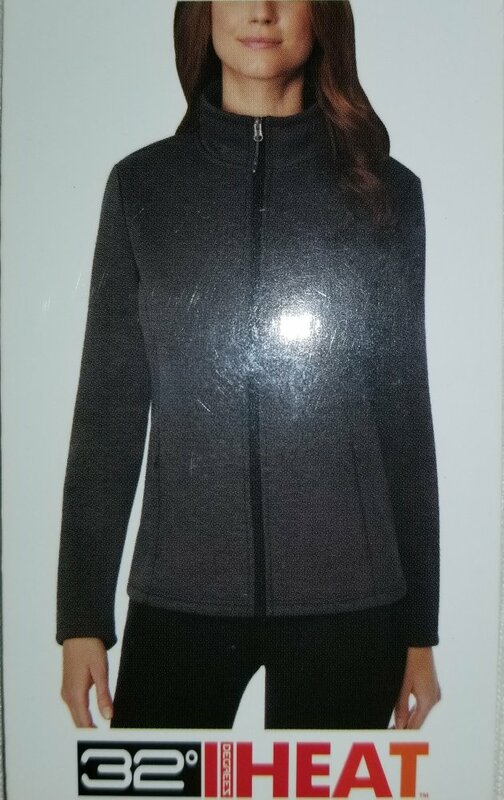 Ladies Plush Fleece Lined Tech Jackets: LIMITED QUANTITY. Full Front Zip Closure, 2 side zip pockets. This is an exceptionally stylish soft and comfortable jacket, water resistant. 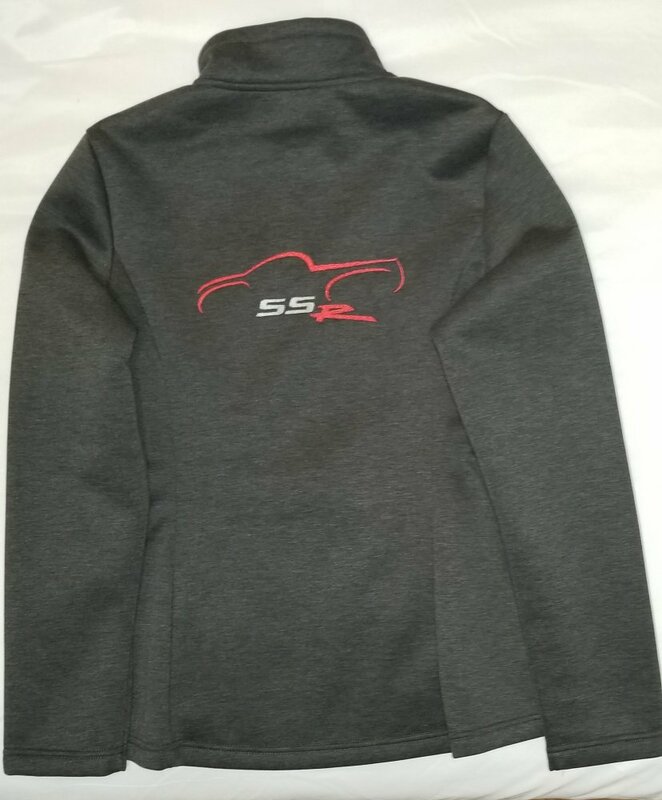 Rear SSR Logo in your favorite SSR Color. $40 with rear logo and one line of text if you'd like your name over front pocket. 9 are available, 3 each of Medium, Large and Extra Large. After that they are gone and there won't be any more. Sizing runs true in this garment. We will bring them to Maggie or Branson, or we will ship them at cost. I would like an extra large jacket with Aqua Blur SSR on back and Nicolette on front if still available. It would be our extreme pleasure to make Nicolette a Jacket. AquaBlur makes everything better . . .
Jeri is going to run to the post office tomorrow, I'll get a shipping quote posted tomorrow evening. I'd like a med. red SSR and Tina-Marie on the front. Shipping to 92595, message me a yes or no and a total if yes. Here is the first round. Jeri was able to track down some more so we will be getting some more in a couple weeks Will probably do 10 more, so Put your requests in. Will bring the other two to Maggie Valley. 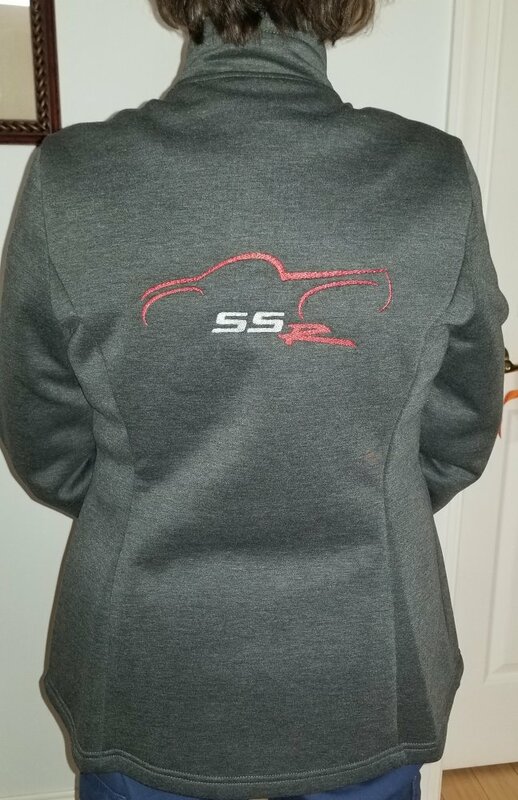 If you have not sent your SSR color choice or your name on Jacket yet , PM me or add it to the messages here is fine too. We will PM you when item is shipped. PM sent with info. PayPal sent monies. Any questions or problems please let me know. Jackets start shipping tomorrow. I'm just a little slow since Jeri had to leave town to visit a dying friend, They will start going out tomorrow's mail. She gets back tomorrow to finish up the front logos on everyone's jacket that did not get done before she had to leave. It is a little confusing when you get paid by one person who is having a jacket made for someone else, Names and e-mails and usernames and Fanatics handles & PAYPAL ID + recipient might give me five identities to coordinate. Second batch of inventory arrived to accommodate extra orders. Most all should all be mailed by the weekend. There are 3 XL, 4 Large and 4 Medium left. Send me a PM with your address,Screen Name, Real Name and the name you'd like on the Front, Color Selection for your SSR Graphic. PAYPAL is $48 Friends and Family to [email protected]. All I can say is if you missed these jackets, you really missed a high quality good looking jacket. Gave this to my wife and she loved it, looks great on her , well made, I'd buy it again. Your Jacket ships tomorrow, Rod. We got Nicolette's jacket today. It looks and fits great!